I really enjoy fishing...a retreat from the stresses of life. 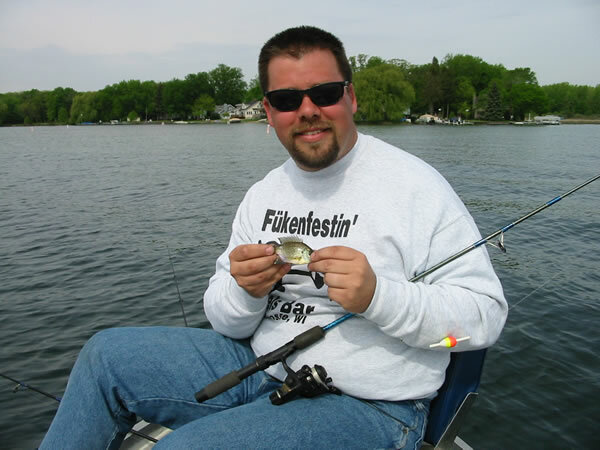 Having grown up in Milwaukee, WI, my first fishing experiences are on Great Lake of Lake Michigan catching Coho and Chinook Salmon. 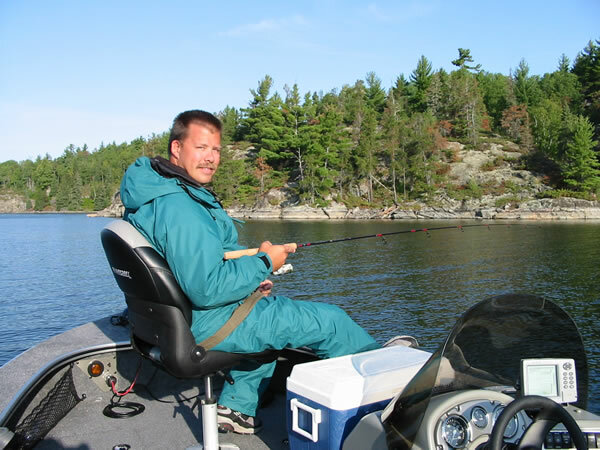 I still like trolling on the "big pond" as well as walleye, panfish and musky fishing on the local lakes and an ocassional trip up to Ontario. 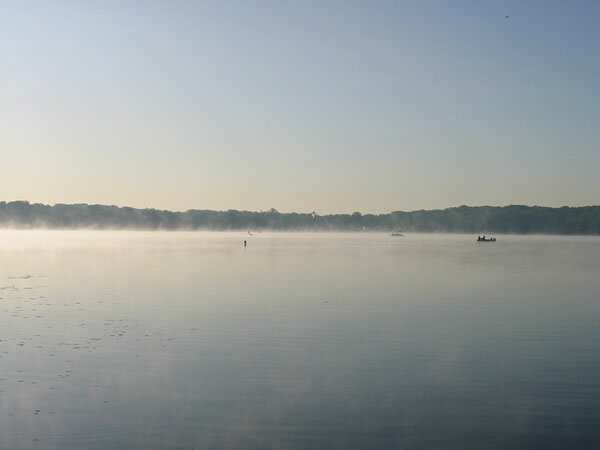 A little morning fog on a local Kenosha lake. My new boat, a 2003 18' Alumacraft Tournament Pro 175CS with Mercury 115 EFI four stroke. 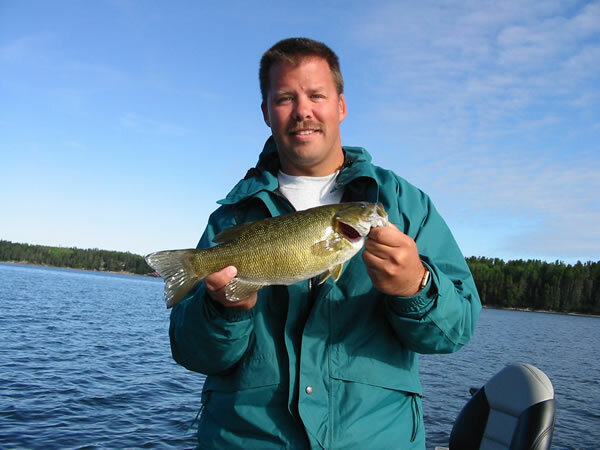 A very nice size smallmouth bass on Eagle Lake, Ontario Canada. 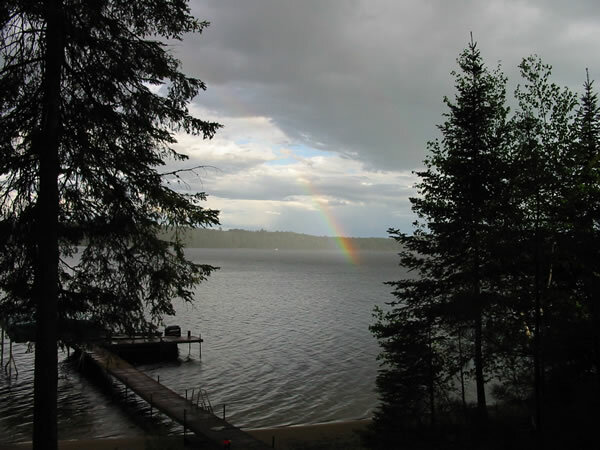 A beautiful fishing spot on Eagle Lake, Ontario. 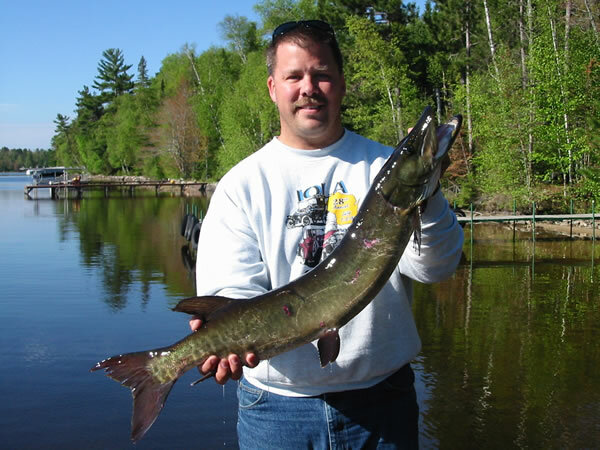 A 38" Musky I caught on an ultralight with 4 pound test line and no leader. 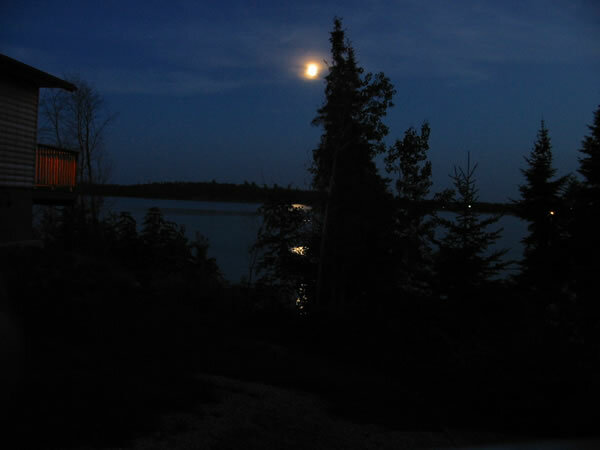 I was jigging for walleye (see next picture). Caught on Sevenmile Lake near Eagle River, WI. 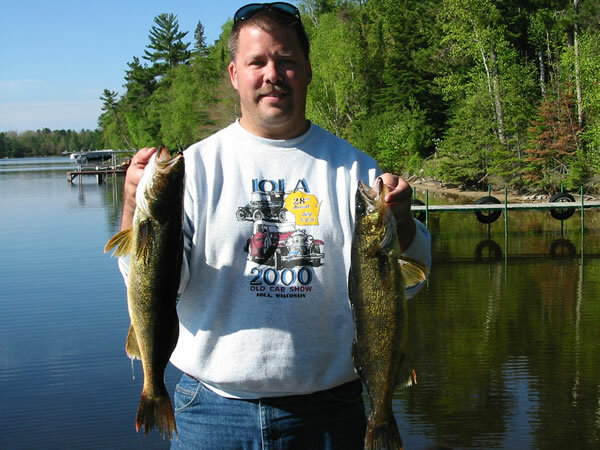 Some nice walleye caught fishing at my brother's cottage on Sevenmile Lake, near Eagle River, WI. 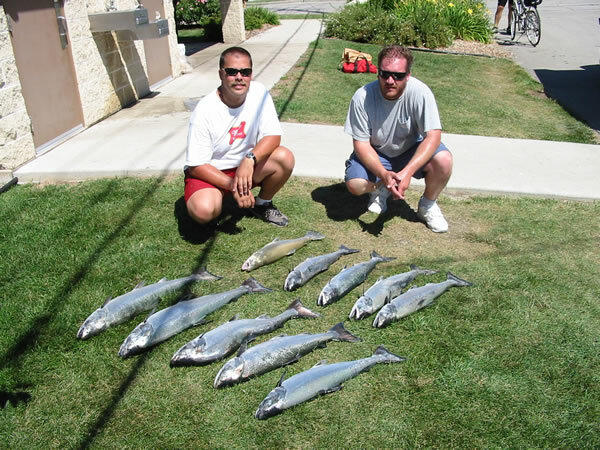 A nice catch of salmon from Lake Michigan with my fishing buddy Tim. 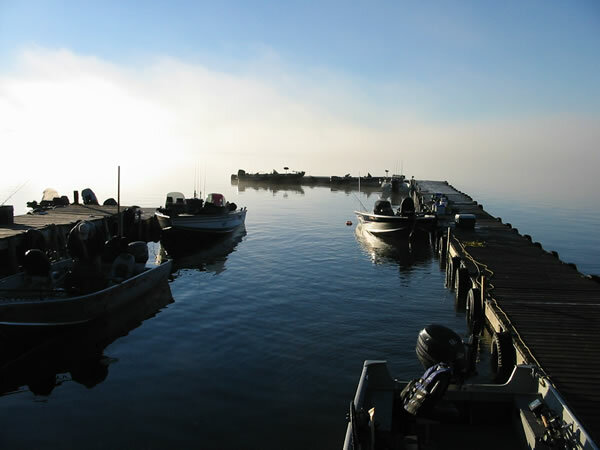 All the boats ready to go on a foggy morning on Eagle Lake, Ontario.